The Financial Guys® in Buffalo are Western New York's Most Trusted Advisors. We are located in Williamsville, NY. 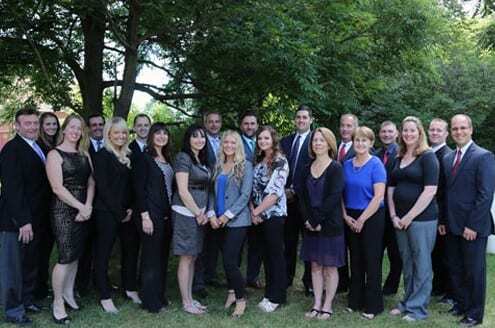 Swing by our office to visit The Financial Guys® and let our financial advisors help you plan your financial future! Your first appointment with us will probably feel more like meeting new friends, rather than an interview with a new financial adviser. The first appointment is a chance for us to meet and get to know each other. You will not be asked to buy or sign anything! You don’t have to bring anything with you. However, if you want to please click on the button below for our First Appointment Ready Kit. Our team will review the items on this list during your first meeting. 1) The first thing we want to do is get to know a little about you and your family. We want to understand fully what is important to you, where you are today, and where you want to go in the future. We will review your current situation then give you some home work so we can get the finer details of your state of affairs. 2) We will introduce you to our team, our staff, and our philosophy of investing. We seek to build long term relationships and want you to feel comfortable. You are working with a caring professional team of specialists who are dedicated to working hard to help you realize your financial dreams.